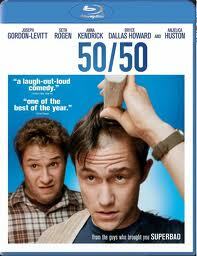 Will Reiser (Writer/Director) uses his real life experience of dealing with a rare form of spinal cancer in writing and directing this little indie gem called 50/50. With a great cast and an amazing performance from Joseph Gordon Levitt as “Adam”, the patient. It’s wonderful indie style soundtrack and personal camera work put you in the shoes of this very sick young man. It’s honest, at times funny and ultimately a very emotional take on a serious subject matter that is handled with absolute perfection. 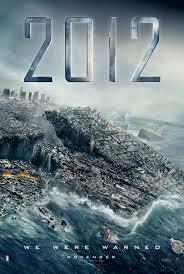 Roland Emmerich’s 2009 epic disaster film “2012” is brilliant. With its outstanding special effects, realistic characters and fantastic action sequences, this is one hell of a ride. It’s over 2 hours or pure escapism. Even though it’s not a plausible event it’s still very entertaining. You have to acknowledge the attention to detail that went into creating this larger than life catastrophic event. It makes you feel like you are really a part of it, it’s only disappointment, it wasn’t in 3D! 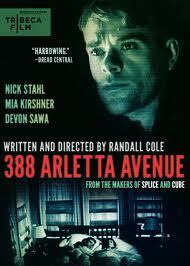 Randall Cole’s brilliantly crafted 388 Arletta Avenue is a guilty pleasure of mine. The tension is fantastic, the camera work original and very particular. The performance from Nick Stahl is really engaging. The whole thing hinges on his descent into madness, which is portrayed very well. The combination of music and score to build the suspense is great. The climax to the film is very surprising and If not for a few loose holes in the story this could have been even better. Samuel Bayer’s remake of the 80’s classic horror film “Nightmare on Elm Street” is fantastic. Introducing Jackie Haley as the new Freddy Krueger was a risky move but in the end a great choice. Very solid acting for a horror film, some great memorable kill sequences. Great tension in the dream sequences built with subtle sound effects. Most importantly, the detailed back story we have never had on Fred Krueger. All these aspects are the reason this is one of the best modern horror remakes. Sam Raimi’s fantastic adaption of Scott B Smith’s novel “A Simple Plan” will have you on the edge of your seat from the word go. 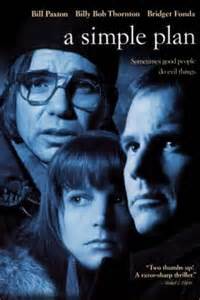 Amazing performances from both Bill Paxton and especially Billy Bob Thornton as “Jacob” who is a very lost soul. This is the perfect depiction of what money and greed can do to family and friends. It’s unbelievably realistic in the way the story unfolds and the way the trio find themselves in a web of lies and cover ups. Filmed in a beautiful landscape in the middle of winter makes this one crisp looking suspense/thriller. 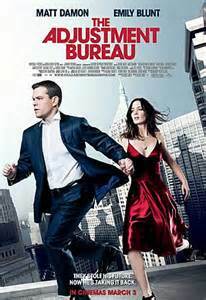 In 2011, George Nolfi came out of nowhere with the mystery/romance/thriller “The Adjustment Bureau”. A great cast including the likes of Matt Damon, Emily Blunt, Michael Kelly and Anthony Mackie bring all the characters to life. A wonderful and original concept pulled off like a perfect bank robbery. A cleverly woven script that gives you a great moral to live by and a big payoff by the end. 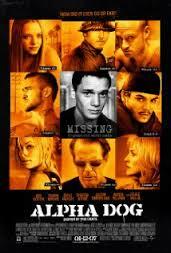 Nick Cassavetes drama “Alpha Dog”, based on the real life drug dealer “Jesse James Hollywood” is raw, edgy and very powerful. A wonderful ensemble cast include the likes of Bruce Willis, Ben Foster, Emile Hirsch, Justin Timberlake, Anton Yelchin, Sharon Stone and Olivia Wilde. Even with its 350+ profanity words and heavy drug use and violence, it never loses sight of its depiction of this world of crime and drugs and the lives of the people in it. Tony Kaye made the whole film world step up and take notice, when in 1998 he delivered one of the finest films of the last 20 years. 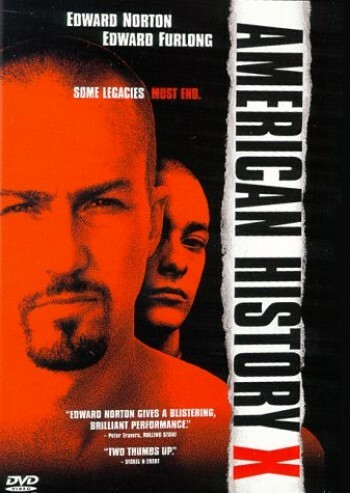 “American History X” looks at issues of racism and brainwashing power in a way no other film has. With an all-star cast including the likes of Edward Norton, Edward Furlong, Stacy Keach and Ethan Suplee. This movie is a must see for its authentic and bold style of depicting some of the worst qualities in humans. It’s violent, its brutal and it’s ugly just like the nature of the subject at hand. 1999’s “American Pie” bought us the first franchise in a new wave of raunchy comedy films that are still being replicated to this day. This had a great young cast of new upcoming actors and actresses. With clever and witty dialogue and plenty of laughs this one of a kind comedy delivers like no other. Accompanied by a great soundtrack of various bands, some mainstream and some indie. There isn’t a single person out there that can’t relate to the film and its wild lessons in maturing and growing up. It should be no surprise that when the returning cast from the original film get back to it 13 years later it’s just as impressive. I was a fan of the whole franchise but the last installment in the series really bought the story full circle. More comedy from the brilliant Eugene Levy and the return of many more of our favourite characters from the original. How could this not be almost as great as that very first viewing of the original. 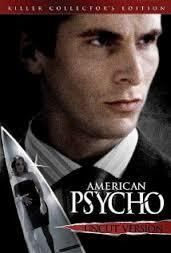 Mary Harron stepped up to direct an adaption of one of the most controversial novels of its time, Bret Easton Ellis’s “American Psycho”. The outstanding cast includes Christian Bale, Willem Dafoe, Josh Lucas, Jared Leto, Chloe Sevigny and many more. From the amazingly well written and perfectly paced screenplay, to the authentic sounds and music of the 80’s. It’s a wonderful depiction of Yuppie 80’s wall street executives and on the surface personas and appearances. It has wonderful dark humour, brutal violence in the context of the storytelling and one of the greatest most ambiguous and discussed endings of any film from its time period. Well known director Adam Mckay freshened up the comedy genre in 2004. 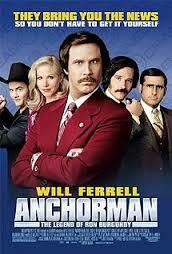 The over the top news broadcasting team led by Ron Burgundy in “Anchorman”. This film had something for everyone, it depicts relationships with men vs women and equal opportunity in the most hilarious way possible. Will Ferrell gives the best performance of his career, along with the likes of Paul Rudd, Steve Carell, David Koechner and Christina Applegate. It’s not one for everybody but if you like these off the wall style comedies, it’s by far the best one that’s been made. It contains plenty of memorable scenes you will be laughing about with your friends for years to come. The late and great Brad Renfro (R.I.P) turns in a standout performance in Bryan Singer’s adaption of the Stephen King novel “Apt Pupil”. It’s such an original and compelling story about a young teen boy being exposed to too many real life war stories. It starts to send him mad and he slowly loses his grip on reality. It’s about blackmail, deceit and the dangerous cat and mouse game between two. Our War Veteran, played brilliantly by Ian McKellen and Todd Bowden (Renfro). It doesn’t refrain from pulling any punches and no doubt will leave you with a sinking feeling deep in your stomach long after the credits roll. 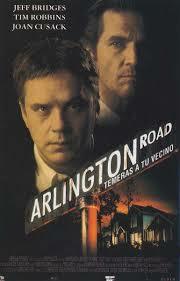 “Arlington Road” is a suspense/thriller that was glossed over back in 1999. I’m not sure why because its one fantastic film. It stars both Tim Robbins and Jeff Bridges who play neighbours in small town suburbia. Both are from different backgrounds, Bridges begins to suspect Robbins of being a terrorist. This is something I have never seen depicted in another film, before 99 or even since. It’s completely original, has some great twists and turns, plenty of back story and ultimately an ending that will leave you in absolute shock. This is up there with the absolute best films of the 90’s. Ben Affleck is 3 for 3 with his directing resume. 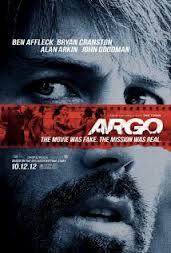 Argo tells the true story about an operation launched by the CIA. Trying to ex-filtrate 6 Americans out of Tehran during the hostage crisis in Iran in 1980. What a subject matter to take on and the importance in telling it with integrity. Mr Affleck blows us away with such wonderful attention to detail and authenticity about the look, facts and mood of the film. No detail is left undiscovered or underdeveloped. If not for a couple of minor far-fetched plot points this would be the definition of a perfect film. 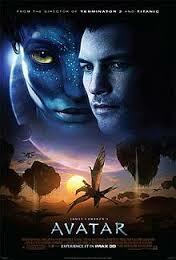 James Cameron’s enormous budget sci/fi/adventure epic “Avatar” falls in my top section of films. Not so much for the story, which models itself on something like the origin of Pocahontas. It simply is so visually spectacular and captivating, unlike anything ever accomplished in film in over 100 years. It’s one of a kind, there has been nothing else to have accomplished such a feat. It has some good acting, great action sequences and was one of the first experiences with true 3D. For all those aspects it’s a wonderfully made film.